An auto policy isn’t one size fits all, especially when it comes to classic auto insurance. 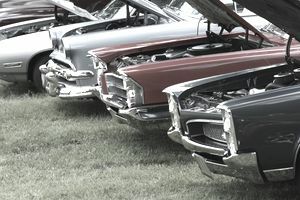 Antique and classic automobiles are often used and stored differently than a regular-use auto. These unique needs demand a specialized policy for collectible vehicles. Classic Collectors Insurance by Infinity has been offering insurance for collectible vehicles for more than 20 years. Originally, a subsidiary of Great American Insurance, the company joined forces with Infinity Insurance in 2005. The company is headquartered in Alpharetta, Georgia, with approximately 100 employees. The senior product manager is Terry McMahan and the customer service manager is Joy Lietch. The parent company, Infinity Property and Casualty Corporation, is a nonstandard auto insurance carrier licensed in all 50 states and marketing its insurance products in Arizona, California, Florida, Texas, Georgia, Nevada, and Pennsylvania. Classic Collectors Insurance has over $1.2 billion in premium written in 42 states. Classic Collectors Insurance by Infinity has been a Better Business Bureau accredited business since 2012 and has an “A+” rating. Antiques: Vehicles 25 years of age or older without much deviation from factory-available equipment/accessories are considered antique vehicles. This includes high-performance muscle cars: two-door vehicles with large V8 engines and manufactured in the 1960s and 1970s. Modern Classics: Vehicles 15 to 24 years old without much deviation from factory-available equipment/accessories for the model year are considered to be Modern Classic vehicles. Most of these vehicles have two doors. Four-door cars are eligible with underwriter approval. Exotics: Vehicles less than 15 years old that are rare or have limited production, with or without modification, have two seats and are appreciating in value are considered to be Exotics. These vehicles are collectibles and are only occasionally driven for pleasure or exhibitions. Street Roads & Modifieds: Vehicles over 20 years or older that are moderately or heavily altered mechanically or cosmetically from original configurations while maintaining the original identity. For trucks/jeeps, photos of the bed must be provided and not show any potential towing, hauling, off-road or utility use. Special Interest: These are trucks, jeeps, military, fire trucks, motorcycles or farm equipment 27 years or over that are in show-quality condition. Kit Cars & Replicars: These vehicles are built from purchased packages. Only vehicles assembled by the manufacturer or a reputable assembly shop are eligible. Assembly credentials may be requested at the underwriter’s discretion. Ineligible vehicles include those with inoperable chassis or interiors; weathered, wrecked or stripped chassis or interiors; stripped or useful only for parts; or vehicles with prior damage. There are also some restrictions on vehicle usage. Vehicles should not be used as a regular or commercial use vehicle, to commute to school or work, for competitive sporting events or as a substitute regular use vehicle or backup transportation. Unlimited Mileage Plan: No mileage restrictions, subject to normal usage guidelines. 6,000 Mile Plan: Less expensive than the unlimited mileage program, allows 500 miles per month and 6,000 miles annually. 1,200 Mile Plan: Less expensive than unlimited mileage plan with allowance of up to 1,200 miles annually. Exotics and Kits: Variable plan options are 1,000, 3,000 and 5,000 miles. Classic Car Insurance by Infinity advertises cheap rates on classic car insurance, fast quotes and a number of discounts that can save you up to 15% on your policy premium. The parent company, Infinity, has very good financial stability ratings. While Infinity does not have the best customer service ratings with the Better Business Bureau, Classic Car Insurance by Infinity has an “A+” rating with the BBB. The policy has several different plan options to fit the unique ways you use your classic vehicle and offers emergency roadside assistance. It is a good option to consider if you are shopping around for the best value on an insurance policy for classic auto insurance. You can visit the Classic Collectors Insurance website to get a quote, find an agent or learn more about the classic auto insurance options available. For customer service, call 1-800-252-5233.